JOCK Dog Food is scientifically formulated to unleash your dog’s inner legend, because heroes aren’t born, they’re made. Because we use only quality ingredients, our veterinary-formulated dog food is not only delicious, but also rich in protein and loaded with essential minerals and vitamins to address your dog’s day-to-day nutritional needs. This is especially key to protecting their health and making sure that your furry friend enjoys all of life’s adventures at their physical and mental best. We believe correct nutrition is one of the most important things you can do for your dog, along with the necessary active lifestyle and love that only we as humans can provide. It’s the source of their health, the key to their well-being and the beginning of their own legendary story. 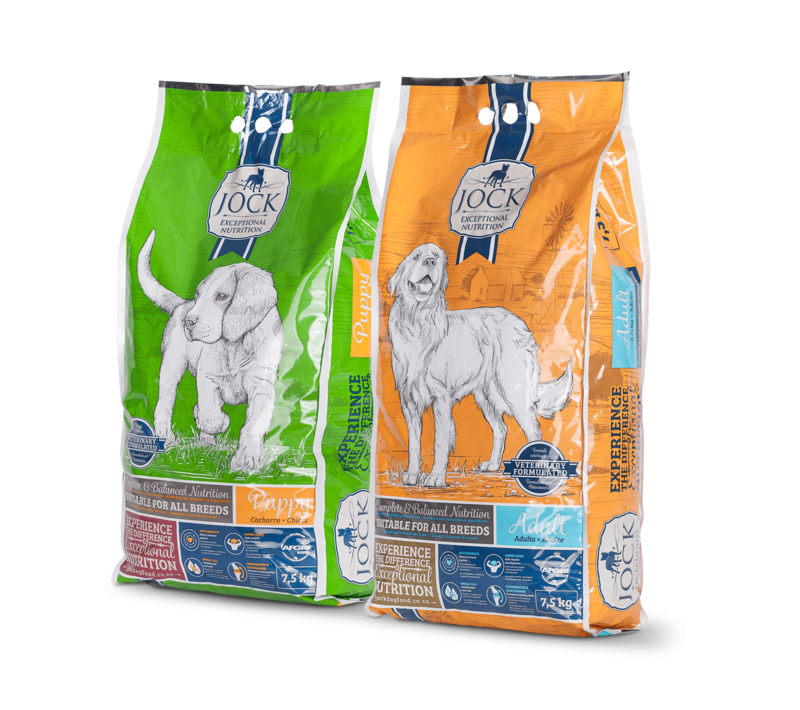 Want to get your paws on a bag of JOCK Adult or Puppy?